"GFY Evolution has confirmed its enthusiasm and willingness to progress on the European circuit with a second victory at the Millennium Series this year. The real strengths of the group are the team spirit with a lot of fun playing together and weekly technical and tactical trainings. We would like to thank all the other teams we are playing with on this tournament, and all our French playmates. 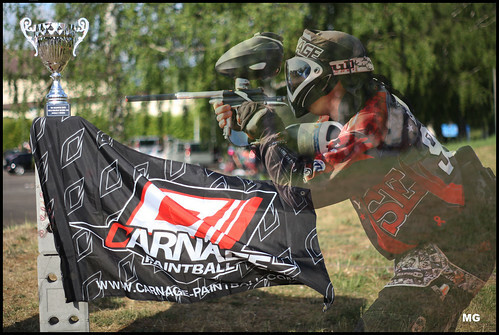 We also want to thank the sponsors who are supplying us since the beginning: Carnage Paintball for the best paint ever, Side Effect for their ultimate jerseys and after game, and Camp Paintball shop for their support and fields."